Rechargeable: power supply, charged via USB (power supply unit or PC). 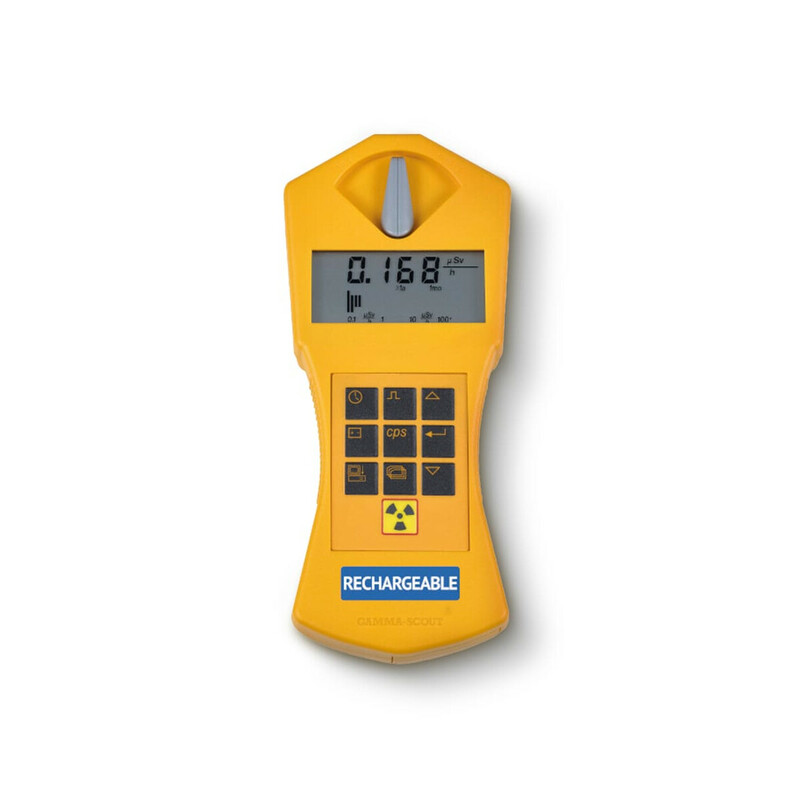 If you own a Geiger counter, you will soon come across some terms that a Geiger counter owner has to deal with. There are complex relationships between the voltage activities to be measured and the properties of the respective device type. The following is a brief overview of the most important units involved in the topic of radioactivity. This way you can be sure that you interpret the numbers on the display correctly and then draw the right conclusions. The unit of measurement Becquerel indicates how many atomic nuclei of a radioactive substance decay within a second. The half-life is the probability that an atomic nucleus will decay in the next second. If you want to determine the total activity of a substance, you multiply the amount of atomic nuclei that decay in one second by the number of atoms present. The dose rate indicates how much energy is stored per unit of time in a defined quantity of substance. In order to describe the harmful potential of radioactivity, the pure activity information is not sufficient; it must also be stated how much energy is deposited per unit of time in a substance. The dose rate is measured in joules per kilogram and second. In medicine, on the other hand, people are not only interested in the energy that is deposited in a substance in a time interval, but above all in the biological damage it causes to human tissue. 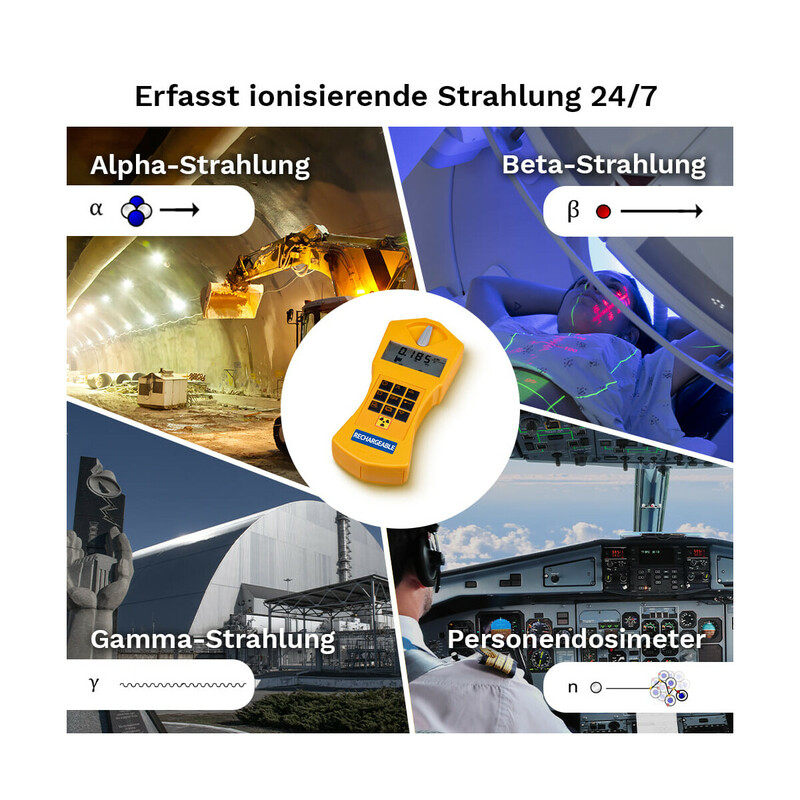 Since different types of radiation with their different energy ranges have a different damaging potential, the dose rate is weighted by a biological factor. The result is the so-called equivalent dose rate, measured in Sievert per second (Sv/s). 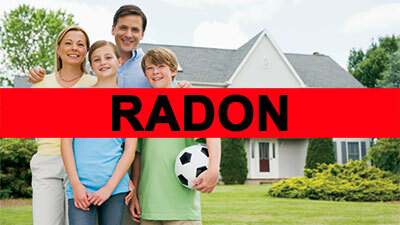 The higher the equivalent dose rate, the higher the tissue-damaging potential of radiation. Since one sievert per second already corresponds to a very dangerous irradiation, the tissue-damaging potential is often indicated in microsievert per second (µSv/s). 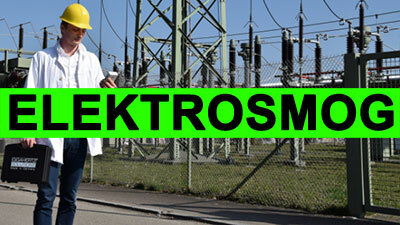 For longer stays in radiating areas the radiation exposure is also indicated in microsievert per hour (µSv/h). If the dose rate is added up over a period of time, the dose is obtained. The dose is given in Gray or Sievert. A flight from Berlin to Los Angeles, for example, produces a dose of 50 to 100 microsievert (µSv), which corresponds approximately to the dose produced by an X-ray of the chest. 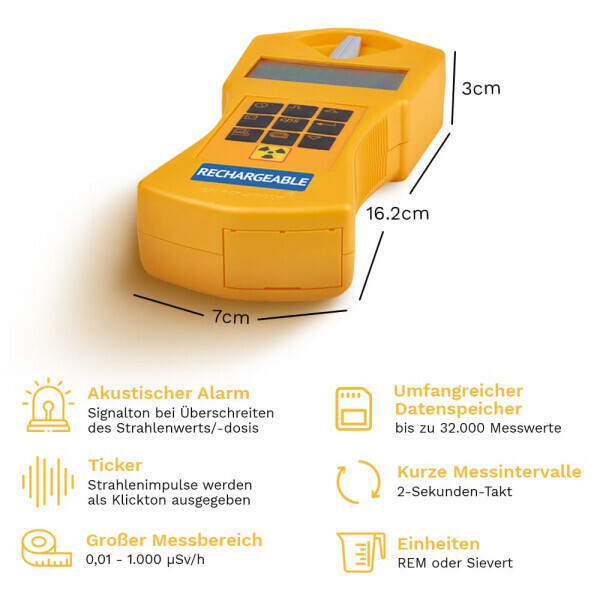 According to the Federal Office for Radiation Protection, the total effective dose of X-ray examinations is 1.6 millisievert per person per year in Germany (mSv). 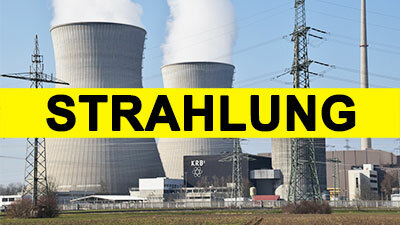 The annual dose for natural radiation in Germany is about 2 millisieverts per year (mSv/a). The annual dose can vary greatly for individual citizens, depending on their place of residence and lifestyle. 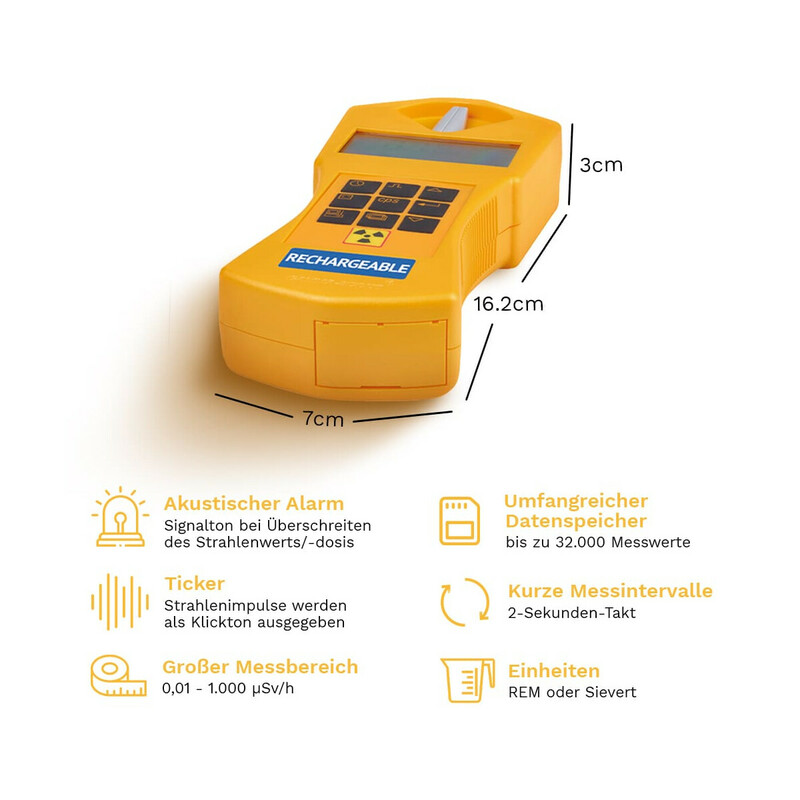 The annual maximum dose for persons who are exposed to radioactive radiation in their profession is 20 millisieverts per year (mSv/a) in Germany. In the USA, the limit was set at 50 millisieverts per year (mSv/a). Even if the maximum annual dose here is quite high, it is worth keeping the annual dose as low as possible. General note: Always keep the exposure to radioactive radiation as low as possible; for the sake of your health! A Geiger counter measures the number of radioactive decays of a substance. The value shown on the display is the higher the more decays a material produces. 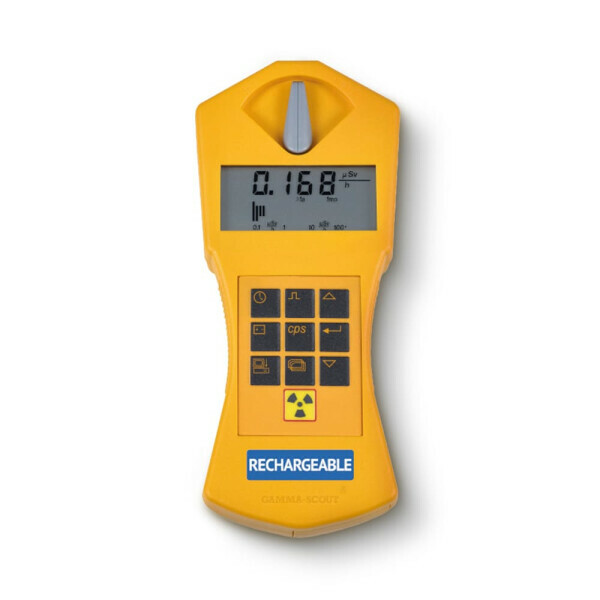 If the radiation meter has a ticker, the radiation intensity can even be made audible. The shorter the distances between the individual clicks, the higher the decay rate. The most important component of a Geiger counter is the so-called Geiger-Müller counter tube. This consists of a metal shell, a cathode and an anode. The tube itself is filled with a gas (often inert gas). If the thin wire in the middle is now energized (500 volts or more), it can attract the electrons that are released when radioactive particles disintegrate. The contact of electrons with the inert gas of the Geiger-Müller counter tube makes the gas briefly conductive, thus closing the circuit. 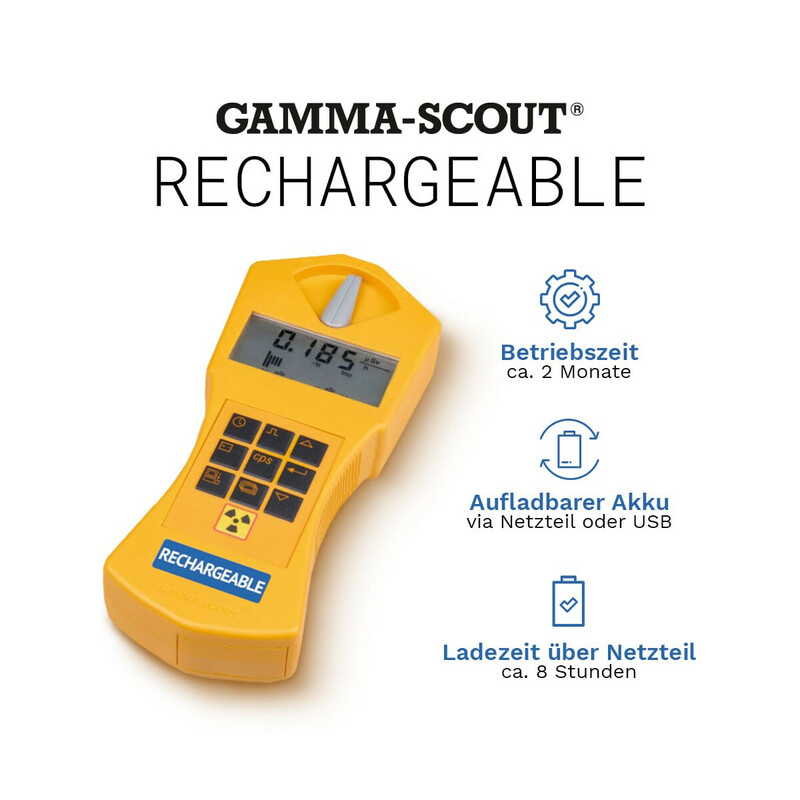 If the Geiger counter has a loudspeaker, a click sound is generated during this process. 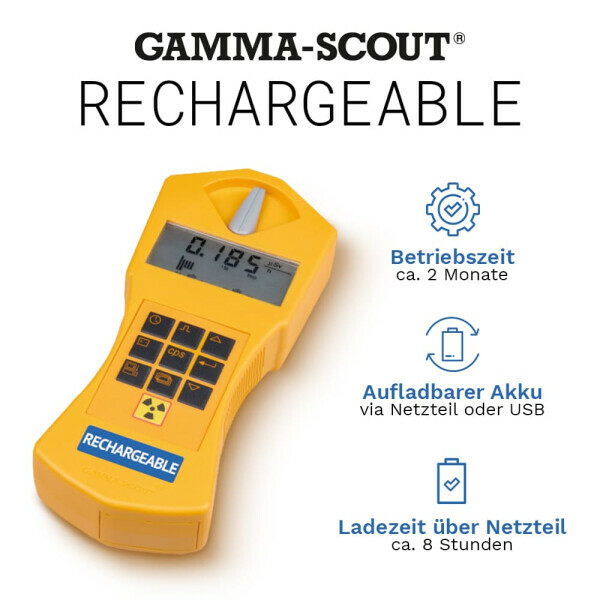 In addition to the Geiger meters with Geiger-Müller counter tube, there are also models with semiconductor detectors. These models can not only determine the number of decays of a substance, but also the energy of the incident radiation. 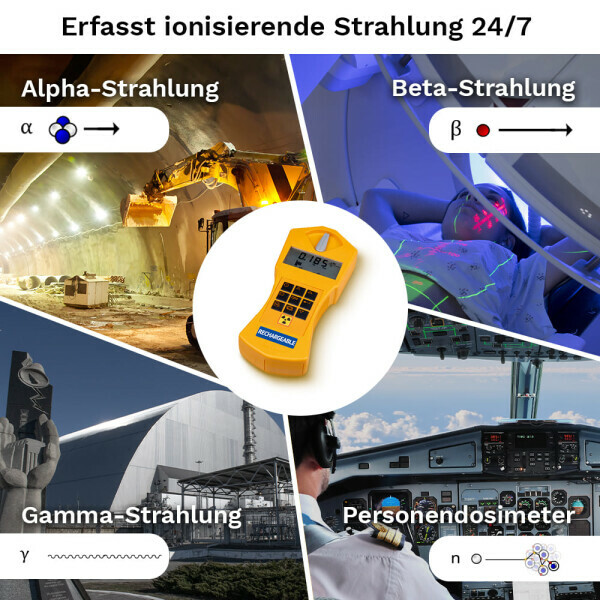 In addition, Geiger counters based on semiconductor technology have a very long service life and low energy consumption.